This is the most recent information about Paul McCartney & Wings that has been submitted to amIright. 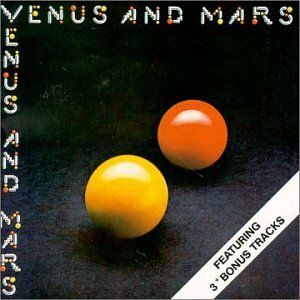 If we have more information about Paul McCartney & Wings, then we provide a link to the section where it appears (the actual page whenever possible). "Country Reamer" originally "Country Dreamer"
"County Dreamer" originally "Country Dreamer"
"Listen To What The Ma Said" originally "Listen To What The Man Said "
"Junior's Arm" originally "Junior's Farm"
"I Lie Aground" originally "I Lie Around"
Sung from a ship's point of view? "I Lied Around" originally "I Lie Around"
"I Live Around" originally "I Lie Around"
"Live And Let Edie" originally "Live And Let Die"
"Band On The Ruin" originally "Band On The Run"
"Junior's Form" originally "Junior's Farm"
My boyfriend thought they were singing about a toy soldier made out of lead. Pretty much any Paul McCartney song could fit into this category. 'The Major' appears to refer to the girl's father, but 'suffragette' is the feminine form of the word. A suffragette was a woman who worked for women to get the right to vote. What does the right of women to vote have to do with the rest of the song? 1) "The rain exploded"? Is this his way of describing a sudden downpour? If so, then it would be a cloud exploding with rain. 2) How can anybody fall into the sun? That doesn't make any sense to me whatsoever. 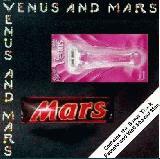 "Venus & Mars Rock Show"
Give Ireland back to the Irish. Don't make them have to take it away. As of 2017, this still hasn't happened. Girlfriend, I'm gonna tell your boyfriend. 'The Major' appears to refer to the girl's father, but 'suffragette' is the feminine form of the word. "and in this ever changing world in where we're living"
Above are the correct lyrics! There's nothing wrong with it! People are mishearing it for some reason? Dumbasses. 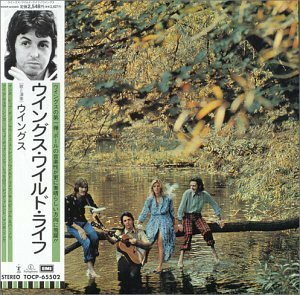 "Gilly Loves Sons" originally "Silly Love Songs"
"Silly Gloves, Son" originally "Silly Love Songs"
In November 1972, this first single release by Paul McCartney's new band, Wings, is banned by the BBC because of it's "unsuitable lyrics". The song still manages to become a hit, reaching #5 in the U.K, and #10 in the U.S. early in the year 1973. 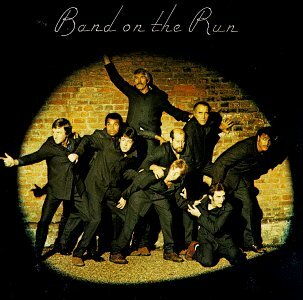 "Rand On The Bun" originally "Band On The Run"
After Sir Paul sings the last verse the drummer resumes his playing pattern and in the background somebody is playing a message on a kazoo in a rare code - played backwards the message is translated as "Paul is busted". You been caught with that girl Mary Jane again? A brilliant "hidden message" technique. Clever.